Thermo-Kool Blast Chillers and Shock Freezers make it easy to ensure food safety while increasing your food’s flavor and palatability and reducing profit loss due to food waste. By reducing temperatures at a much faster rate than conventional refrigeration systems, your food stays out of the “danger zone” temperatures for bacteria reproduction. This rapid cooling keeps food fresher longer while locking in flavor and aroma. It also prevents moisture loss which is common with conventional methods. 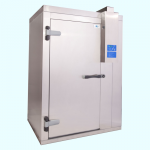 Our blast chillers and shock freezers reduce the core temperature of cooked foods from 165°F to 37°F within two hours. 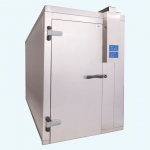 With shock freezing temperatures are lowered from 165°F to 0°F within four hours — which is faster than conventional freezers — exceeding HACCP regulations. 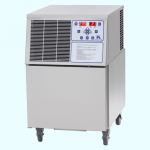 Thermo-Kool blast chillers and shock freezers feature a built-in overnight thaw function. The thaw cycle alternates fan-driven warm and cold air — between 35°F to 50°F — to thaw food overnight. Thermo-Kool / Mid-South Industries, Inc.
© 2015 Thermo-Kool. All rights reserved.